Over 15 academic institutions encompassing 400,000 students launch a global pilot of blockchain technology out of Dubai, from primary schools to graduate studies for exchange of digital documents. 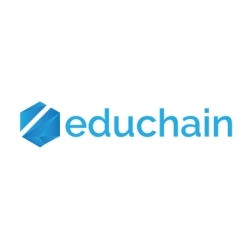 Dubai, United Arab Emirates, February 27, 2018 --(PR.com)-- Educhain, a leading blockchain records platform, today announced the launch of the world’s largest pilot of blockchain technology in education. Launching in Dubai, the initiative spans all levels of education to secure and streamline the exchange of digital academic credentials, operating in tandem with partners in North America and Europe. For information about Educhain, please visit www.educhain.io or email to mark@educhain.io.